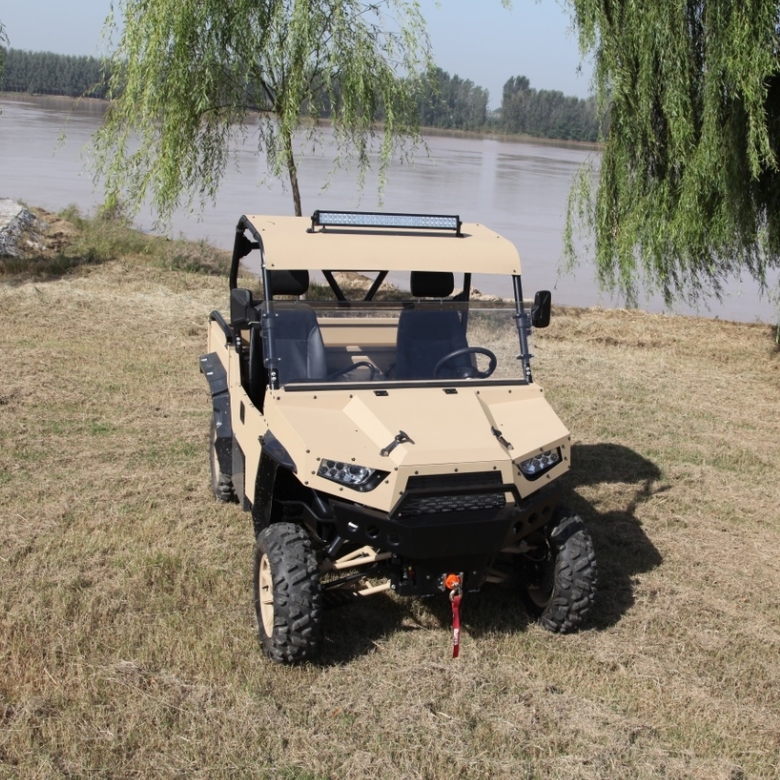 UTV/ATV can travel on any terrain, and can walk freely on terrain where ordinary vehicles are difficult to maneuver. Vehicles are simple and practical, cross-country performance is good, the appearance is generally canopy-free. In soft sandy land, ATV's wide tires increase the contact area with the ground to produce greater friction. With unique tread patterns, the tires are not easy to idle and skid, but easy to drive in sandy land. 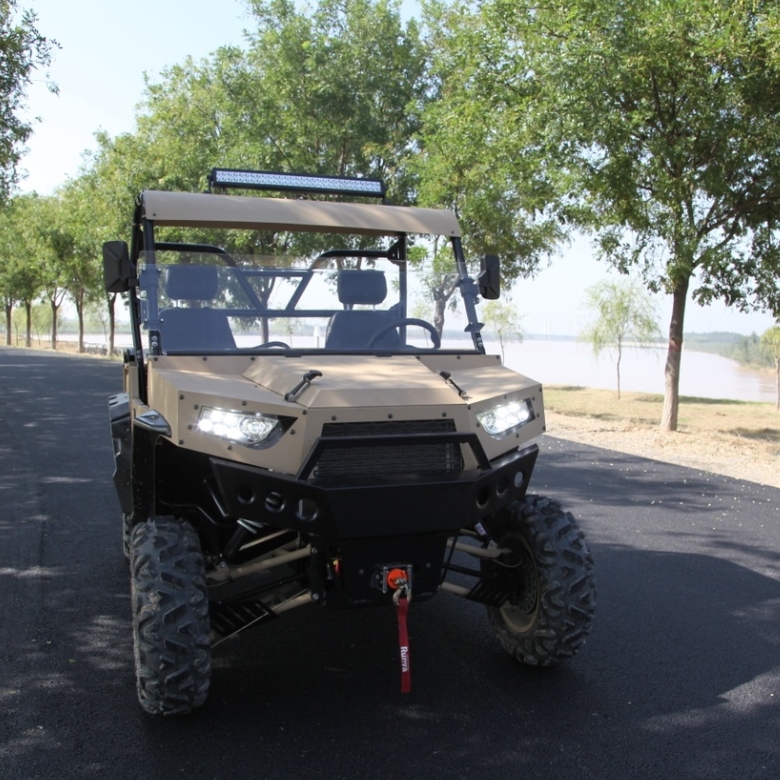 ATV with good quality and good performance can not only drive on beaches, but also easily overcome riverbeds, forest channels, streams and even worse deserts. Carries the personnel or the transportation goods to enable the ATV function to display incisively and vividly... may be called the omnipotent movement tool. 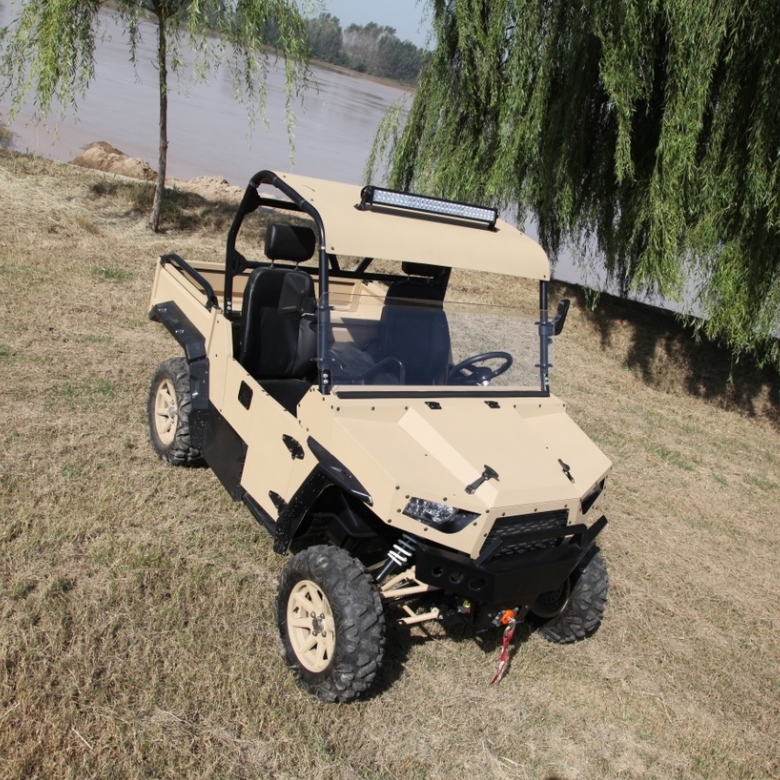 DW Industries was established in year 2014 as a high quality All Terrain Vehicle manufacture. Located in Shandong province Binzhou city, we enjoy convenient water, land and air transportation. 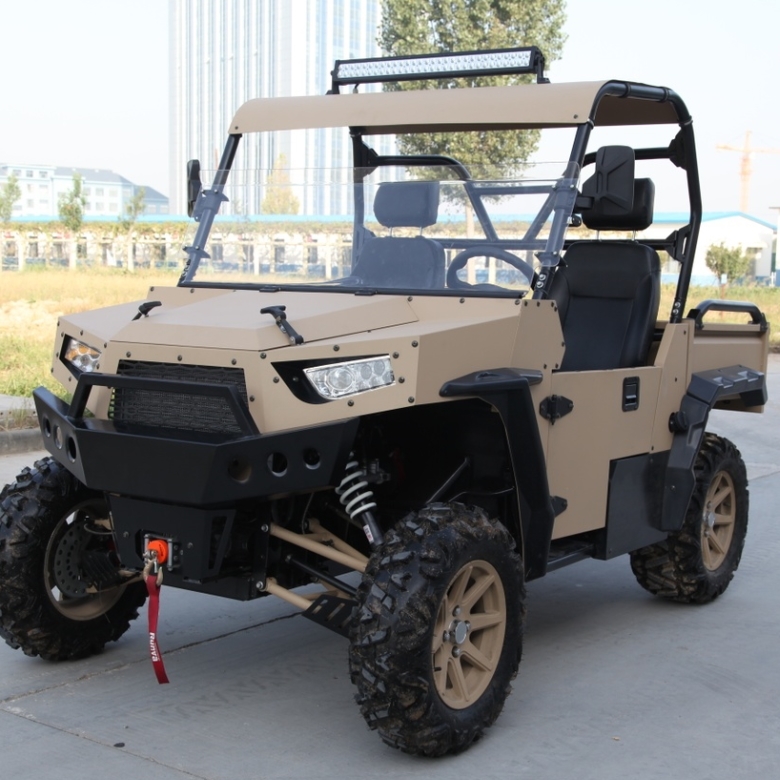 Integrates development and manufacturing in-house, Specializes in manufacturing ATV,UTV,Buggy all types of off road vehicle, The engine displacement from 150CC to 1000cc. Currently ,DW product already exported to America, Australia,UAE,Mexico and 10 Other countries. Our company promises: reasonable prices, short production time and satisfactory after-sales service. DW Industries people have continuously tried to improve product quality, We aim to give full satisfaction to all our customers. (1)Before driving, it is necessary to wear a safety helmet and conspicuous tight clothes, so as to facilitate the control and increase the attention of drivers. (2)Don't drive when you are not in good health. (3)Don't drive after taking medicine. (4)Driving after drinking and driving without license are strictly prohibited. (5)Carefully check the condition of the car, do not ride a sick car. (7)When overtaking, we must turn on the turning light to ensure safe overtaking and not close to the overtaken vehicle. (8)In rainy and snowy weather, the ground friction resistance is small and the braking distance is relatively long. We must slow down and slow down. The braking operation should be gentle to avoid crashing. (9)When driving at night, because of the short visible distance, we must slow down and turn on the night traffic lights to attract the attention of pedestrians and vehicles. (10)When the motorcycle feels abnormal in driving, it is necessary to stop and check it. (2)Whether there is oil seepage or abnormal sound in engine etc. (3)Close the circuit and lock the car. (5)To stop the vehicle, it is better to use the central support to stop, reduce the tire load and prolong the tire life. (6)Keep away from the fire source and don't smoke near the motorcycle. 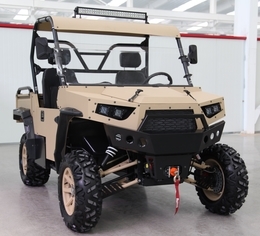 DW Industries was established in year 2014 as a high quality All Terrain Vehicle manufacture. Located in Shandong province Binzhou city, we enjoy convenient water, land and air transportation. 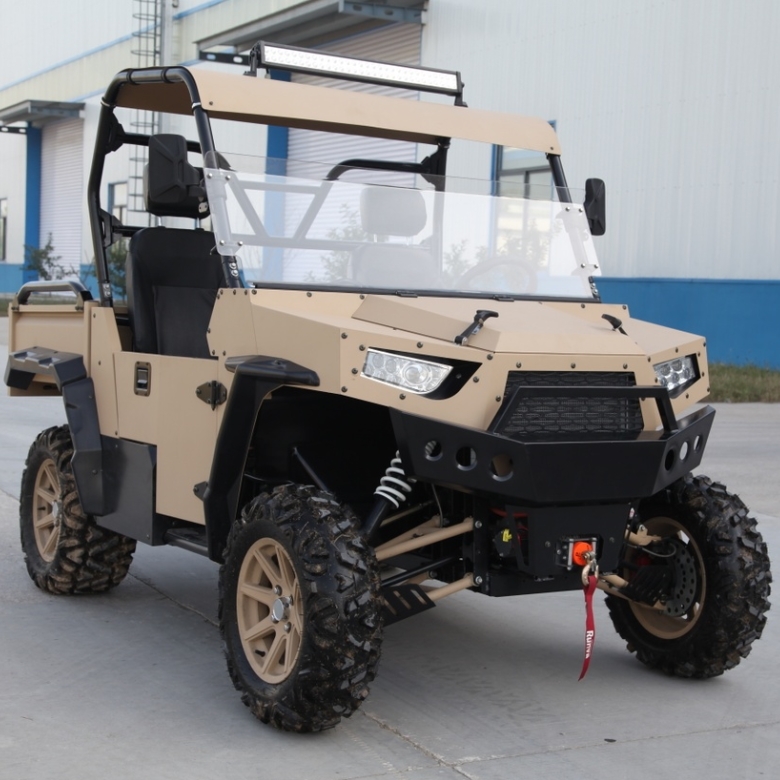 Integrates development and manufacturing in-house, Specializes in manufacturing ATV,UTV,Buggy all types of off road vehicle, The engine displacement from 150CC to 1000cc. Currently ,DW product already exported to America, Australia,UAE,Mexico and 10 Other countries. Our company promises: reasonable prices, short production time and satisfactory after-sales service. DW Industries people have continuously tried to improve product quality, We aim to give full satisfaction to all our customers.